How I Cut My Energy Bill By a Third with Tech and Common Sense - Moneyhome.co.uk - The Best Moneysaving Blog ever! Last month my electric bill was $300. That was ridiculous. Something had to be done. By using gadgets, common sense, and a constant awareness of power consumption, I’ve made changes that will cut my power bill by at least a third. And that’s not just temporarily—that’s forever. And, I’m doing it without really sacrificing anything. I’ve always used more power than normal people because 1) I work at home on a 30-inch monitor and a 27-inch iMac, and 2) I have an assload of electronics. The 63-inch Plasma TV (larger TVs use more already, and plasma draws three times as much power as LCD), as well as water coolers, various NASes, and the need to keep some lights on during the day for my rabbits are a constant drain on the grid. But what could I do? Could I still realistically use all my devices when I wanted them, but still draw a lot less power? Yes. Here’s how you can do it too. I’m going to start with common sense tips that require no extra equipment so anyone can start lowering their power consumption right now. 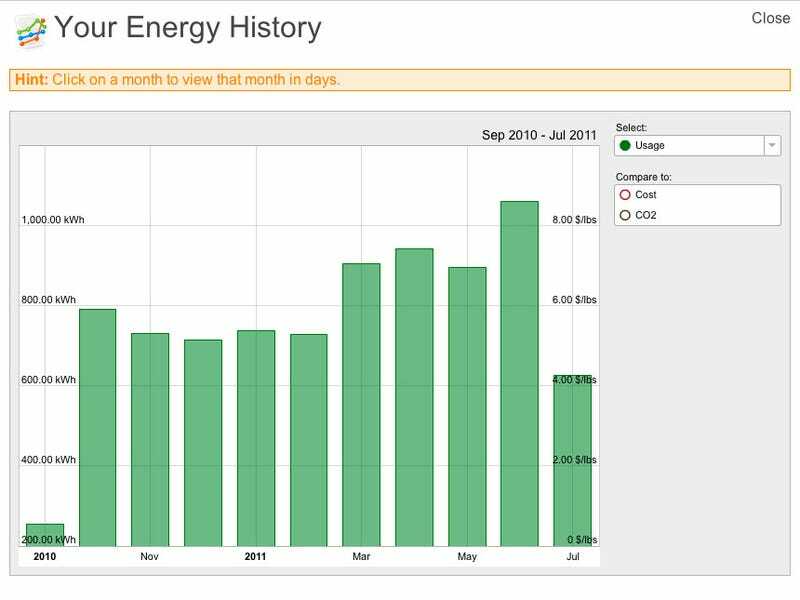 But if you’re serious about lowering your electricity usage dramatically, I’ll discuss tools like the eMonitor that tell you exactly what’s drawing power in your home down to the circuit level. Once you know exactly what’s wasting money, I’ll point out some advanced tips and equipment you can use to do something about it. Go around your house and turn off all the lights you’re not using, especially if you’re using old style incandescent light bulbs (Edison’s kind). Bathrooms, closets, and sometimes kitchens use incandescent lights because unlikecompact fluorescents, they get up to maximum brightness right away. When all you want to do is take a leak or check the mirror, CFLs won’t even be done going through their 5 minute warmup stage up by the time you’re washing your hands. Another alternative is LED bulbs, which are dramatically more expensive upfront, but don’t have the drawbacks of CFL and behave more like a traditional light. Am I Washing My Hands Correctly? Point is, each 60 watt bulb uses 0.060 kWh (more or less, depending on your wiring) per hour, and you probably have somewhere between 2 to 4 bulbs in each bathroom and kitchen, which makes for 120-240 watts of wasted electricity per hour. In comparison, my 27-inch iMac takes about 130 watts with the screen on and everything powered up. Two (inefficient) lights use the same amount of power as a large computer! A laptop uses about 40 to 60 watts, in comparison, so you could do an hour’s work by just shutting off a light. Moral: Turn off your lights when you’re not using them. Tell your spouse, roommates, parents, pets and goblins to do the same, and show them exactly how much power they’re wasting by not doing this. I have an exercise room with a treadmill and a TV inside. I don’t use them nearly as often as I should, which means they could theoretically sit plugged in for weeks for no reason. Stuff like TVs and other stereo equipment still draw power when they’re plugged in but off—which is called vampire drain—due to the fact that they have to still power their IR receivers for your remote control to work. You’ll need to physically unplug these things from the wall to eliminate any power consumption when not in use. It might take an extra minute to find the cord, plug it in and switch on the electronics when I do use them—and an extra minute to unplug when I’m done—but it’s worth it if they’re barely used. 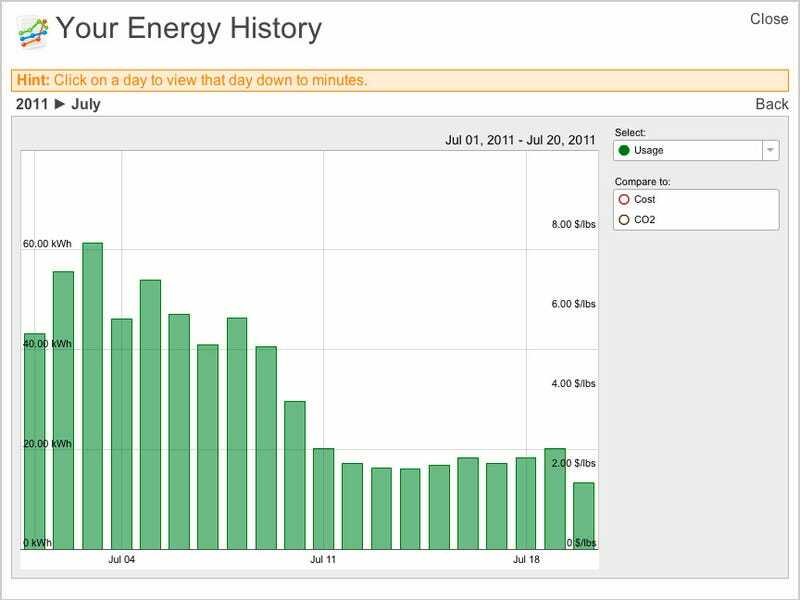 Your air conditioning power usage is a very nebulous thing, because unless you physically track how long your AC was on (including all the stops and starts), compare it to how much electricity your other electronics are using, then somehow correlate that with your bill at the end of the month, you’re really in the dark. But trust me when I say that it’s a lot. Depending on the weather, how much you use it and what other electronics you have, you could be paying more for AC than everything else in your house put together. That’s insane. We’ve got five alternatives to running your air conditioner all the time, which include ice in front of a fan, turning off your heat-generating electronics, and generating a breeze into your home at night when the air outside is cooler. I’m not telling you to not use the AC at all, but walking around the house with fewer clothes on rarely hurts anybody. For the curious, I’ll cover an actual way to measure your air conditioner’s power usage compared to everything else a little later, with the eMonitor. This point, just like turning off your lights, is a super obvious thing that all of us know, but don’t religiously follow, because we’re not electricity nazis. Unless you’re torrenting at night, or hosting a Minecraft server for your friends, you don’t really need to have your computer on when you’re asleep. I know it’s nice to not have to wait 5 minutes to get started in the day, but are those five minutes really worth keeping your computer on overnight and spending $1.85 a month? Actually, probably. But, when you’re trying to shave off dollars from your bill, having a computer, a NAS, a couple laptops, and stereo equipment be on all the time can quickly add up to double digits per month for stuff you’re not using. I’m not talking about not using these devices when you need them, it’s the paying for stuff when it’s not actually having any benefit that’s the killer. The cheap way of examining your electronics is to go around with a Killawattor a Belkin Conserve Insight and plugging all your devices, one by one, into it and seeing how much power they draw. This is easy for something like a computer or a microwave, because you know exactly when they’re on and off. But for something intermittent that cycles between drawing a lot of power and very little power, like a refrigerator or a water cooler, this is more difficult. But, using this, you can realize that—holy crap—my hot pot cooker uses 2,000 watts. Or that maybe it’s really not a good idea to leave your TV on when you’re not using it. If you really want to get serious about knowing exactly how much power use is going on—and I mean the kind of serious you get when you get a $300 bill in the mail, get an eMonitor from Powerhouse Dynamics. Traditional smart meter solutions that hook up to your meter—which are difficult or impossible to install if you live in a multi-unit complex or an apartment—can only tell you how much power your entire house is using as a whole. That’s better than no information, but it renders it hard to narrow down the energy hog to an appliance level unless you constantly go around with a Killawatt and measure. The eMonitor installs onto the circuit level, so you can get a room-by-room readout. The only way you could get any more detailed is if there were Killawatt type measuring tools on each individual outlet that fed wirelessly into a central place that consolidates all this data. As far as I know, this doesn’t exist yet. I’ll explain the home screen of the eMonitor webapp. It’s hard to make sense of it as a whole, so I’ll break it down into pieces. You can see that my office is drawing the most right now, because my computers are on, as is my cable modem and wireless router. The refrigerator is in one of its higher power cycles, which explains why it’s coming in at second, and there’s a computer on in the living room, punching it up to 143 watts. Usually this idles at about 100, which includes a TiVo, another Wi-Fi router and a home automation system. Everything else is effectively unplugged. The other rooms have a small, constant power draw for things like clock radios, more Wi-Fi routers, appliances, security systems, and even this eMonitor setup. You could technically classify these as phantom power draws, but you’re not going to unplug your clock radio every morning, and stuff like security systems are just things that you need to have on constantly. The second chunk tracks my last 30 days of power consumption. The living room and office are two obvious rooms with giant power usage, because my computers and my television are there, and that’s where most of the day is spent. The AC, however, comes in third and fourth, because it’s on two circuits. So together, it’s used about a third of the total power for the last 30 days. And that’s with me not turning on the AC at all for the last ten! I am ashamed of myself. That’s the kind of wasteful behavior you can settle into if you stop paying attention. But the good news is that the bill estimate for this month is already dramatically less than last month, and I’ve only been trying to save power for about 10 days now. The first 10 days of July are still shameful, but I’m proud of the last 10. Part of that is me not using the AC, but it’s also me eliminating useless power consumption. If I keep on this new low-energy diet, the August month will be the lowest I’ve ever had since the installation of the eMonitor at the end of September (which doesn’t count). What’s also great are the historical charts, which can also be shown on a circuit by circuit view to help you figure out what’s sucking down the most juice. Each circuit can also be clicked on to see a historical view as well, or if you just want to monitor it closely in real time. The chart updates once a minute, but you can bypass that and go directly to your local eMonitor’s IP address and see exactly what it’s using right now via its tiny web server. Although the eMonitor is unbelievably powerful, it’s also quite expensive. A 12 circuit monitor (what I have) will cost $688. A 24 circuit monitor, for large houses, costs $948. 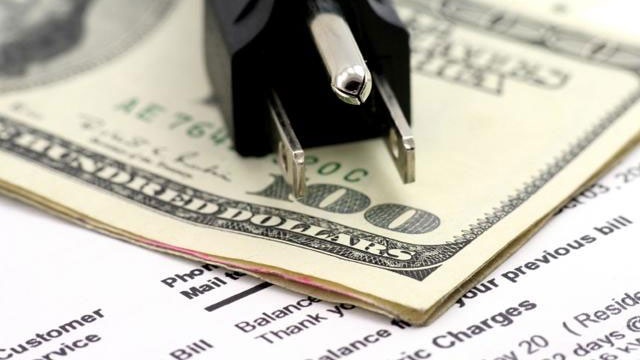 This is steep, but if you manage to cut down your power by $50 a month—and be able to keep it down, because you can set alerts and monitor when appliances use more than they should—you’ll make that back within a couple years. It’s also very useful for people who have solar panels, because it can keep track of your power generation as well. Trust me, when you’re trying to cut your power use down, you’ll be religiously monitoring the site throughout the day to keep a constant eye on what’s using what. You’ll also know exactly when the other people in your household start showering, watching TV, doing laundry or engage in any other electricity-intensive activity (and then yell at them for it). Once you have the eMonitor installed, the first step is to identify devices in rooms that are using too much power while off. Start unplugging things and see how that affects the power consumption for its circuit. For example, some televisions and receivers and game consoles still draw a considerable load when powered down because they’re keeping part of their circuitry on, even in the off state. You’ll want to unplug these when you’re not using them, or use the lamp timer or smart power strip methods I explain later. You can also start turning on electronics and seeing if something is insanely inefficient. Buying a new iron for $15 because your old one uses that much more in electricity in a year would be a good possible outcome. The mentality applies for the rest of the small-ticket appliances like hairdryers, toasters and coffee makers. You’ll also be able to see how much power your lights are drawing compared to your other electronics, and you’ll immediately want to swap out your bulbs for more efficient ones, which I explain next. The key is that once you know exactly what’s drawing power in your house, you can start doing something about it. Like I said earlier, a 60 watt incandescent bulb uses 60 watts, or 0.060 kWh per hour, whereas the a compact fluorescent equivalent uses 13 watts, and a Philips LED bulb uses 12.5 watts. The chart should quickly outline the good and bad of each type of bulb. 1 Average life for a GE and a Sylvania CFL bulb on Amazon. Wikipedia lists the average life as somewhere between 6000 to 15000, but the more common bulbs are 8000. And “average” life is the point at which half the bulbs at this age are dead, and half are still functional. 2 Average life for the Philips Ambient LED bulb, the one tested for this post. According to the Energystar website (PDF), most bulbs are coming in at about 25000 hours, with some at 50000 and a handful down at 15000. Like CFL, this is the point where half the bulbs would likely be dead and half would not. 3 There are CFL bulbs that are dimmable, but they are four times as expensive, and do not dim well. Complaints on Amazon say they’re maximum brightness, down to about 80%, and then off. 4 Energystar rebates exist for LED lights, and you can search the site with your local zip code to see if your power company has any. Mine did not. For most instances, you’re going to want to go with a CFL, because it’s cheap, drawing only slightly more power than an LED, and has a reasonably long life. An LED wins out in the cases where you’re replacing an incandescent in the bathroom, where you want the lights to come on at max brightness instantly, or when you want to be able to control your brightness from a dimmer. But if you’re talking living room lamps or dining/kitchen lights, where you’ll physically be there for a while, a CFL works just fine. Those of you lucky enough to rebate the price down from $45 a bulb might find the 3x long lifetime and slightly decreased power consumption worth it for rooms where you want to keep the light on all the time as well. Here’s a simple calculation that illustrates my point. If you keep a 60 watt bulb on for 12 hours a day, every day of the month, it would cost you about $2.77. A CFL used under the same conditions would cost $0.60. The difference there is already enough to cover the purchase of a new bulb, for just one month’s use. You should also think about whether you really need 100 watt bulbs everywhere. I, for one, know how satisfying it feels to install one, fill up a room and really blow my retinas out. But unless you’re performing delicate visual work all the time or trying to illuminate a large room, you can most likely make do with a 60 watter. Even 75 watt bulbs are plenty bright most of the time. I have two water coolers, one in my office and one in the kitchen so that I can have hot or cold water at any time. But if I think about it, how likely is it that I’m going to be in both places at the same time? Or, that I’m going to need cold water while I’m asleep? Take a $10 lamp timer ($6 if you use it for non-grounded, two-prong plug items) and you can specify exactly what times of the day you’re likely to be using this. For the office cooler, I’m only really going to need water from it between noon and 5PM. For the kitchen cooler, it’s 7AM to 9AM, then 6PM to midnight. By doing this, I’ve shaved 80% use time off one and 66% off the other. Sure, it takes a little more power to get the water to optimal temperature when they first start up, but that’s less than keeping it on the entire day. You can extrapolate this lamp timer usage to appliances that you use every day and don’t want to unplug all the time, but only need part of the day. Are you going to use your internet connection while you’re asleep (if you don’t Torrent)? Put your cable modem and router on a lamp timer. Do you ever really watch any shows your TiVo records from 2AM to 9AM? Or need your stereo when you’re at work or asleep? Take a look around your house and see what devices you use every day, but only for parts of it, that would be annoying to unplug manually. If you think about it, there’s little reason for your Xbox, PS3, receiver or subwoofer to be on when your TV is off. Likewise, why would your computer speakers, external USB backup drive, and monitor need to be on when your computer is not? Grab a smart power strip, like the Belkin Conserve Smart AV, that kills power going to five other devices when the main device—your TV or computer—is shut off. If you often listen to music with your receiver on and your TV off, you could make that the primary device as well. And if you’re forgetful, you could combine this with the lamp timer method to make sure that your “main” devices—the ones that kill everything else—are off when you go to bed. An alternate method is to get a power strip with a remote, like these twoBelkin models, which gives you the plug/unplug functionality without physically going and doing it. You could also use a special Conserve Valet that charges four USB things at once. This thing knows when your device has drawn enough power to fill up, and then automatically cuts off the charging to eliminate phantom power drain. I’ve found that the Valet is not that, practically speaking, because when you’re charging your phones, iPods and Kindles, you expect them to be charged when you unplug them, whether it’s 3 hours later or a day later. But if you’re vigilant about charging your devices, this is a decent solution to only draw as much power as absolutely necessary. Do I really need to do all these things? Installing an eMonitor and knowing exactly how much power each gadget in your house uses may be a little extreme if your electric bill is already reasonable. The eMonitor is expensive, despite its comprehensiveness, and I wouldn’t expect many of you to actually install it. But, with a $20 Killawatt and the common sense lessons I learned from lowering my power bill, you should be able to cut at least a few bucks off yours. Wow. Thanks for doing that so we could benefit. MUCH appreciated. I’ve learned a lot from this article and want to go run around right now unplugging everything. Luckily, I am in a small apartment so there’s not much here, but I will not mind unplugging everything I’m not using. Thank you again!